Hitech has 2 printing facilities, one each in the State of Andhra Pradesh and Telangana. Hallmark of Hitech, we offer tamper proof security features to enhance the security of the documents we print. Hitech considers employees as the most valuable asset of the company and has continuous programmes to improve Employee Engagement. Skill development is regularly done with constant training. 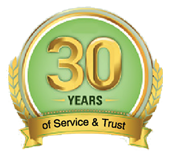 Testimony is Hitech has been able to retain more than 95% of the skilled manpower for more than 20 years. Hitech believes in social responsibility and the nearby villages are immensely benefited by the regular employment provided to them, especially for Women Employees. Assistance is extended to local schools. Environmental cleanliness & waste disposal etc are given utmost importance. At both the locations, STP has been installed. Greenery surrounding the plant is an example in this direction. To minimize Co2 emissions in the atmosphere, Telangana printing facility is equipped with a solar plant adequate to meet the captive power requirement.